I am so happy that you stopped by for a visit. My name is Melissa and I have been blogging with my mom, Eileen since 2009. I originally started Books R Us to promote my book Ginger High. Although the book never became a bestseller, I have learned a lot about publishing and writing. I am a junior in high school and I have a passion for American Sign Language. When I graduate in 2012, I plan to become a certified Sign Language Interpreter and a Speech Pathologist. I plan to continue writing and I hope to finish the sequel to Ginger High Soon. Growing up my mom encouraged me to read as much as I could and boy did that pay off in school. When I am busy with schoolwork my mom runs the blog and keeps the posts active. We hope you enjoy the blog party and Books R Us. Just leave your name and email. Book Giveaway ends on 4/8/11 @ 11:59 pm Eastern and winner will be notified by email and will have 48 hrs to respond or a new winner will be picked. 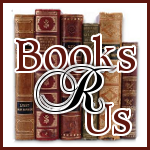 Books R Us is also participating in the Ultimate Blog Party door prize by offering a $25.00 Gift Card to Amazon.com. So head on over to UBP and check out all of the great prizes that is up for grabs. I would really like to win one of the $100.00 gift cards. Boy that would be sweet. I love ASL. Was going to be an interpreter, but the college I wanted to attend was too far away. So cool you blog with our mom!! Stopping by to say hi. It is good to "meet" you. This is my first stop on the UBP11, and I wish you many blessings! This is the first blog that I have visited with a mother/daughter writing team. How cool! I am already a follower, stopping by from the Ultimate Blog Party!!! Have a Great Day!! Hi! I see you feature Reviews and/or Giveaways. I would like to invite you to add your blog to my “Review and Giveaway Blog Directory” if you haven’t already. Hope you’re having a Sweet Week! Stopping by from UPB11. Great to meet you! I love to read as well! Stopping in to do the #ubp11 party dance on your wall! I took ASL in college for a semester. Just like any language you really need to work at it. I still remember a few words... graduated 17 years ago. I would love to read the book. Hello from UBP! I review books, too, you should come visit! Found you via UBP11. I write book reviews on my blog too, just for fun. Most of the books I write about are Down syndrome-related. My 3-yr old son has Down syndrome and he's an absolute blessing in our lives. He gets speech therapy at his preschool and loves working with his speech therapist. I wish you all the best with your ambition to become a speech pathologist! It's so nice to meet you from the hop. I'm glad you stopped by my place! I'm so impressed with your goals! I'd love a chance to win your book! Stopping by from the Ultimate Blog Party 2011! It's always nice to start conversing with other writers. Stopping by to say Hi! Hope you are having fun at this year's UBP 2011! I know I am! Stopping by to say ‘Hi’ from my 5 Minutes for Mom Ultimate Blog Party 2011 link-up! What a great blog you have and I will be following! Stop by and say ‘Hi’ back! I have blog parties on Tuesday and Wednesday’s that may interest you. Tuesday is Tutorial & Thrifty Treasures Tuesday. Wednesday is What’s Cookin’ Wednesday. I am also looking for guest posts on home décor and crafts if you are interested. I have two blogs, and I’d love for you to stop by when you get a minute. Thanks!